Firstly, data about customers was being created in many different information systems. Some information was stored in internal accounting and billing systems, and some in logistics and delivery systems. Some was also collected in customer relationship management and sales management systems. Marketing data was tracked by other internal systems and external services, while mobile data increased the volume and variety of trackable data. Secondly, differing definitions of customer across the application landscape resulted in poor quality data with little predictability. 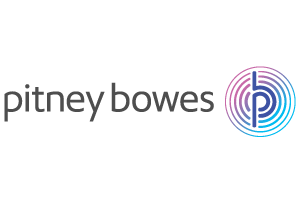 It was clear that to reduce the effort of cleaning, comparing and integrating data, Pitney Bowes’ clients were in need of a total solution that included proper quality controls and governance processes, to ensure data could be consistently validated and cleansed. Thirdly, each of the different information silos had been optimized for different tasks. Some were designed for short online transactions like order processing while others were batch processed. Some were so large that they were essentially unusable for analysis, resulting in subsets of data being loaded into data marts simply to boost query performance. Overall the differing timeliness of each kind of data store substantially compounded the overall data problem. Navin and his team were experienced enough to know that mapping data from multiple applications is an expensive and complex proposition with relational databases. Many integration and information warehousing projects have gone astray by underestimating the time and complexity of assembling information from multiple disparate systems and data models. For Pitney Bowes, the problem is even more complex since they deal with many different customers who have different portfolios of applications. The problem is compounded by newer less predictable data sources like mobile, social networks, measurements of customer experience, governance requirements, and a need to manage the many channels over which customers and companies now communicate – channels that include retail, phone, Internet, instant messaging, Twitter and other social networks. Neo4j has a pleasant learning curve, so the staff were rapidly productive.